pixFINEART was formed in January 2016 by two longtime friends with a great passion for photography. Pretty phrase that always looks good, right? It’s not just a click of the shutter, it’s a set of variables that, once added, result in an image, good or bad. Certain variables can be programmed at home, others have to be set in the field and since there are no equal days there is to be taken into account the light, this is because photography is light. Photography is simple and complex at the same time. It may seem like a paradox, but that’s the way we look at it. Complex because the variables are many, the location that defines the framing, the choice of subject, the camera settings, placement of the tripod, filters selection, post-processing, etc. Any variable out of parameters can ruin the day! Simple because the best photography is the most elementary, by complicating the process we can lose focus and meaning to the content. The key, is not to overlay the technical component to the essence of photography. But mainly the sharing of experiences, travel, moments that are summarized in stories lived by who is present. 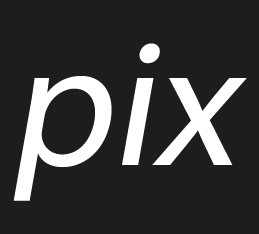 pixFINEART consists of stories, memories, shared by us. “… we are on our way to Drave, a very characteristic uninhabited village, all in shale with the exception of a whitewashed church that contrasts with the blackness of all other houses. The village seems to be buried among difficult-to-access mountain ranges, such is the difficulty that even the sun is prevented from entering. On the way we decided to record the sunrise on the top of Serra da Freita. Only with the moonlight as a light of presence, we zigzag through the wind generators, silence accompanies every curve. What were we doing here? I’m sure it was the question of the moment, but we never shared it. “Ready for Drave and back on the road. We quickly realized that we could only walk on foot, such was the irregularity of the ground. Since I had never been there, I ask the person who accompanies me, is there much left for the village? The question had a purpose, to evaluate what I would take with me. The answer was prompt, we have to go down the slope, then it’s right there.